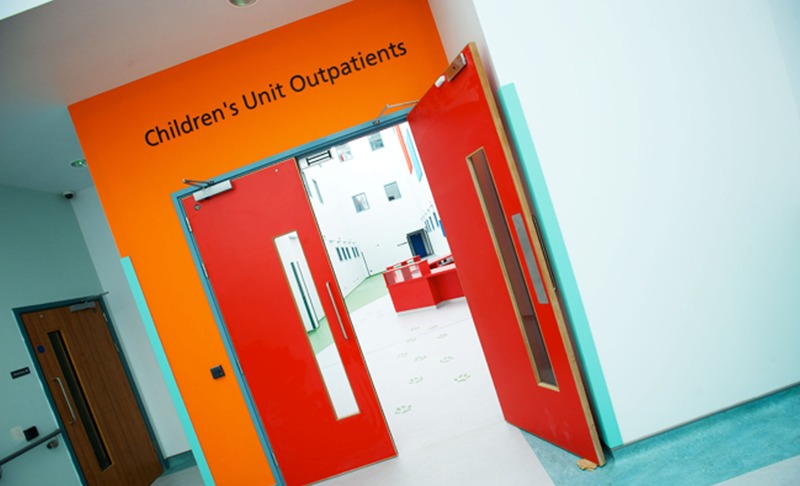 , Leaderflush Shapland is perfectly equipped to offer the best possible advice on doorsets for all healthcare building projects. Our doorset solutions are available in a huge range of ﬁnish options to deliver a distinctive appearance and aesthetic appeal. Hygieniform is a high impact PVC designed specifically for use in areas where cleanliness and hygiene are paramount considerations. 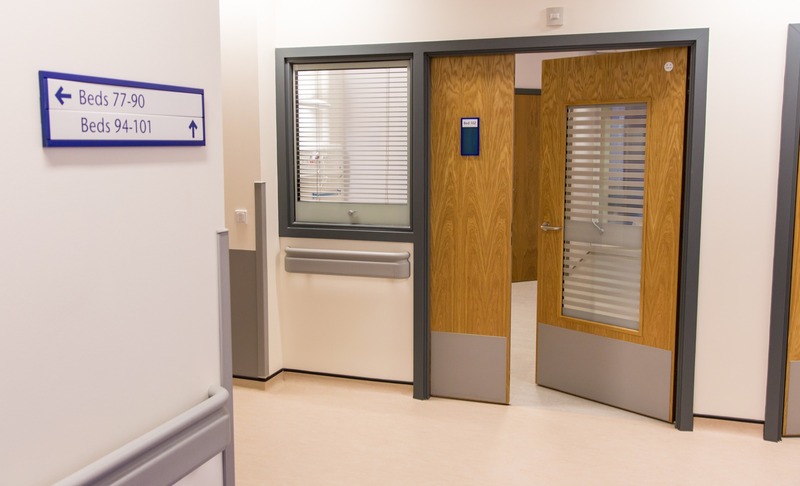 Hygieniform is a part of the Plasform range of doorsets and is available as an alternative to postformed laminate. 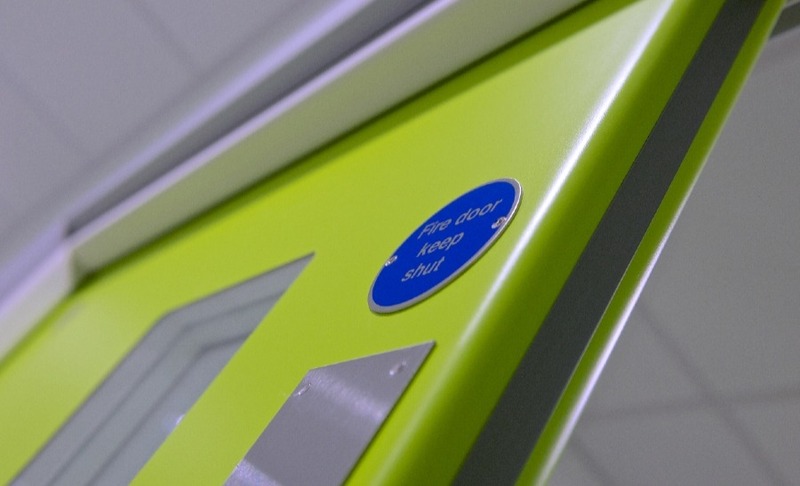 It can also be specified for protection plates, edge protectors and as a facing option for flat faced and lipped Designer doorsets. Hygieniform PVC incorporates a highly effective anti-bacterial additive throughout the full 2mm thickness of the material, and remains integral in the material even if scratched, providing 10 years protection against the spread of infections. A biocidally proactive additive is integral to our lacquer ﬁnishes that provides protection against harmful bacteria such as E.coli, salmonella and MRSA. It works by preventing the bacteria’s access to nutrients so that they starve and die. It does not employ silver technology, rendering it completely UV stable and remains effective for years because of its inherently low water solubility. - Independently tested and verified. Glazing has a major impact on ﬁre performance and limitations are identiﬁed in the Approved Documents. Aperture shape and position, glazed area, style of bead and type of glass all inﬂuence ﬁre performance, as well as appearance. The most commonly used aperture conﬁgurations, all available with ﬁre certiﬁcation up to 120 minutes, can be seen in the technical support section under vision panels. Bespoke glazing shapes and sizes can also be speciﬁed - Please contact our Technical Team on 01623 343125 to discuss your requirements. The sliding, folding mechanics of Pivette make it a versatile solution where functionality, access and space are important considerations. 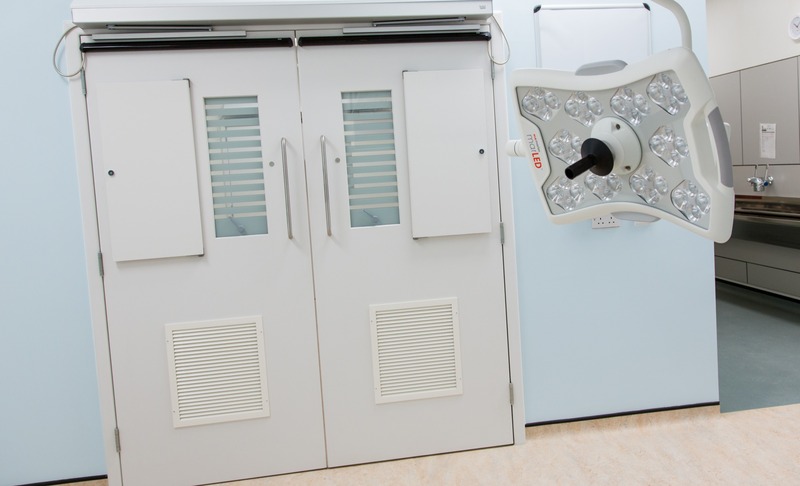 The unique two-leaf articulated door minimises door swing area whilst maximising clear opening widths. Glazing has a major impact on ﬁre performance and limitations are identiﬁed in the Approved Documents. Aperture shape and position, glazed area, style of bead and type of glass all inﬂuence ﬁre performance, as well as appearance. The most commonly used aperture conﬁgurations, all available with ﬁre certiﬁcation up to 120 minutes, can be seen in the technical support section under vision panels. Bespoke glazing shapes and sizes can also be speciﬁed.